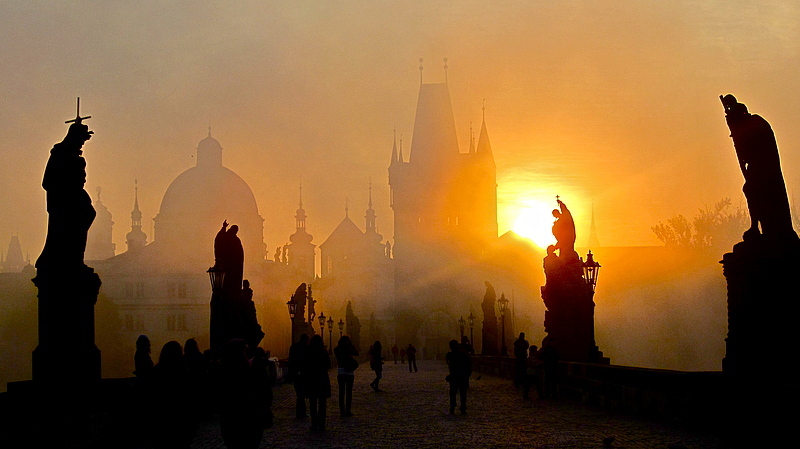 “Prague” is up today at Wyvern Lit. Issue Four contains some great work from Joel Hans, Christopher DiCicco, and a stunning story called “Copse” by Rachel Richardson. Thanks to Brent Rydin for taking good care of the piece, as well as Lauren VanDenBerg for making sure I didn’t embarrass myself writing about a city I’d never been to. Love love love the piece, by the by. Thanks Arina, that’s very kind. Re: why I chose Prague, (apologies if this answer is kinda American-POV-centric) I wanted a European city that was removed from the concept of a “romantic European city,” so that eliminated a lot of them (Paris, Vienna, Florence, etc). Also, when I thought of using Prague, I remembered that films and tv shows are sometimes filmed there because it gives a European feel, but is cheaper to shoot in. I liked that Prague was used as a stand-in, a replacement, as it resonated with certain elements of the story. From there I just looked through tourist guides and wandered around on google street view. The sculpture garden was based on one in Paris I’d been to, although it seemed general enough to exist anywhere. You should go visit it some day and see how it compares to what you imagined.. that would be so interesting. I’m always so nervous to write about places I haven’t been (and honestly, even those I have), but you do it so eloquently! Thanks for sharing.